On April 11, the Prime Minister of the Republic of Armenia will take part in the plenary spring session of the Parliamentary Assembly of the Council of Europe (PACE). Nikol Pashinyan will deliver a speech and will answer the questions of deputies. The Premier will hold meetings with Secretary General of the Council of Europe Thorbjørn Jagland, President of the Parliamentary Assembly of the Council of Europe Liliane Maury Pasquier and President of the Venice Commission of the Council of Europe Gianni Buquicchio. Nikol Pashinyan and Thorbjørn Jagland will make statements for media representatives. The Prime Minister of the Republic of Armenia, the Secretary General of the Council of Europe and the PACE President will officially open the “Velvet Revolution of Armenia” photo exhibition at the Council of Europe headquarters. 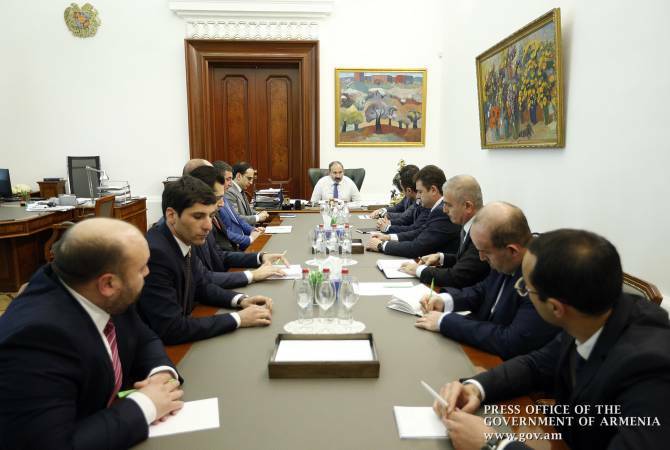 Nikol Pashinyan is also scheduled to meet with representatives of the Armenian community in Strasbourg during the visit.